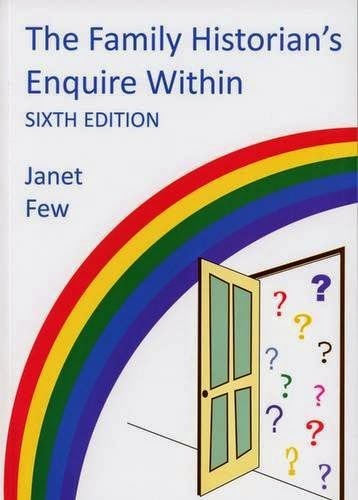 This month's featured book is The Family Historian's Enquire Within, Janet Few (6th edition). It is available from many online bookshops. PS Is there a feed URL so that I can add this to my automatic downloads? I didn't even realise I wasn't looking at your msin blog.!! !